Not part of the New Forest Olympics Equestrian Team! I used this handy route finder to discover the New Forest Olympic Torch Route. Just type in Brockenhurst and a map will come up.Here are some details I've just found out of actual routes within some of the New Forest towns and villages. Here are some of the venues and how I think they can tie into your visit if you stay in the New Forest. I've taken this information from the stunning Chewton Glen Hotel . This is a New Forest hotel I would recommend as possibly the most beautiful place to stay on the New Forest. You can travel By Car: Chewton Glen is 1 hour 45 minutes from Central London. This is close to Windsor Castle so you could see even more on this day out! By Car: Chewton Glen is located 1 hour 30 minutes from Eton. This is a stunning seaside location. You could go across Chesil Beach and visit Portland Castle as well as enjoying the rowing events. By Car: Chewton Glen is located 1 hour from Weymouth by Car. Book Chewton Glen for your New Forest Olympic stay now! Discover what visitors have to say about the Chewton Glen Hotel for yourself! Why not visit my BandB info to stay right in the heart of the New Forest for your Olympics stay? 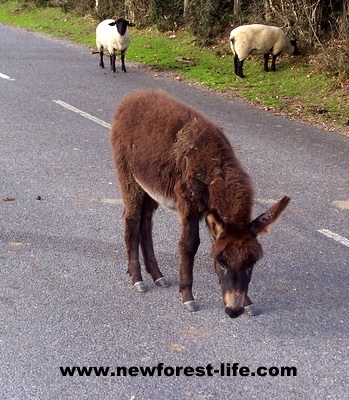 The New Forest Olympic Torch Route may just pass by outside the door!